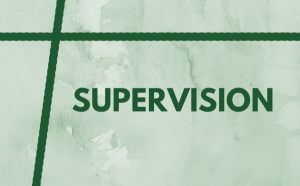 Supervision supports you as a helping professional to gain the necessary knowledge and skills to work safely and effectively with clients with mental health concerns. Kathryn customises the content and process of supervision to meet your individual needs - clinical case discussions, theory in practice, intervention planning, case management support, worker self-care, and more. Supervision is recommended for community and human service workers, social workers, support workers, educators, school counsellors, allied health, counsellors, managers, community workers, and other ‘people working with people’. Face-to-face, online video and telephone supervision sessions are available. Kathryn is an Accredited Mental Health Social Worker with a Medicare Provider Number. She currently provides clinical services in Warwick. Online video conference sessions are also now available. Kathryn’s counselling service operated under the business name “Condamine Assist” from 2005 – 2017. A referral for counselling is not necessary, however eligible clients with written referrals from a psychiatrist, paediatrician or GP under a Mental Health Treatment Plan are able to claim a Medicare rebate for up to 10 sessions per calendar year. Some clients may be eligible for other referral programs. Kathryn works with clients of all ages and has a special interest in supporting women and children around anxiety, depression and lifestyle issues. For more information on counselling, including referrals, contact your GP. How do I make an appointment for counselling? How do I get more information about counselling in my local area? For local information about counsellors in your area, contact your GP. How do I recognise a qualified Mental Health Social Worker?